What separates a great paint job from a mediocre or worse yet a failing one? Usually things you can't see and have no idea that they have happened.....until it's too late. Removing ALL loose paint and debris, sanding and cleaning before and between coats, caulking all gaps and cracks, repairing and patching holes and imperfections and using higher quality products are steps that may take a little more time and require a slightly higher investment but if you've ever gone through the expense and aggravation of having paid twice for the same job then you know that quality doesn't cost, it pays. If you want a "cheap" paint job call a student, if you want the best paint job, call us! Whether it's new doors and casings, window trim, crown molding or wainscoting nothing dresses up a room like fine woodwork. Entertainment centers, wet bars, built-in cabinets, book shelves, computer and desk work centers add serious functionality and appeal to your home. Storage and organization is the single most important way to eliminating clutter and optimizing space in areas such as closets, laundry, attics and pantries with custom shelving, drawers, cabinets and counter tops. And if you like the woodwork that you have but it's just a little worn our wood restoration service is just what you need to make that old wood look new again. If you've ever experienced a sizable remodeling project where workers go MIA, deadlines are nowhere in sight and budgets get doubled due to incompetence then we are the company for you. We do what we say when we say we are going to do it. Our basements, bathrooms and kitchens go more smoothly because of our dedication to keeping you, the customer, happy throughout the entire process. 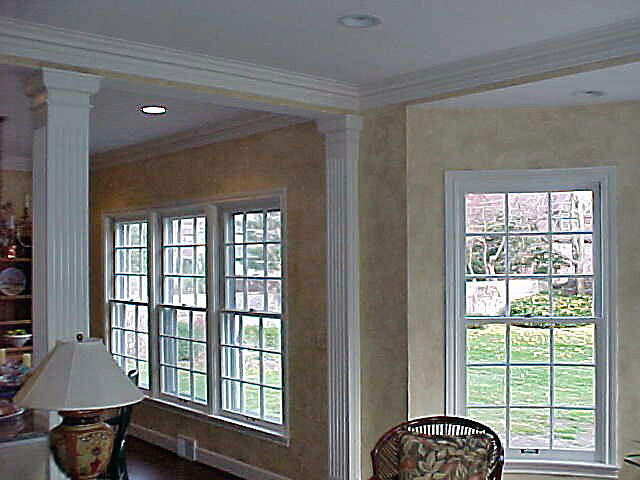 Call today for a free consultation to update and add value and beauty to your home.